New bus services for shoppers will bring bargain hunters between villages in the borough and town centres and larger supermarkets. Services will run from Lowdham, Calverton, Woodborough and Lambley to Arnold town centre on Mondays and Morrisons at Netherfield on Wednesdays and Fridays. There will also be a bus running from Bestwood Village to Bulwell and Morrisons. 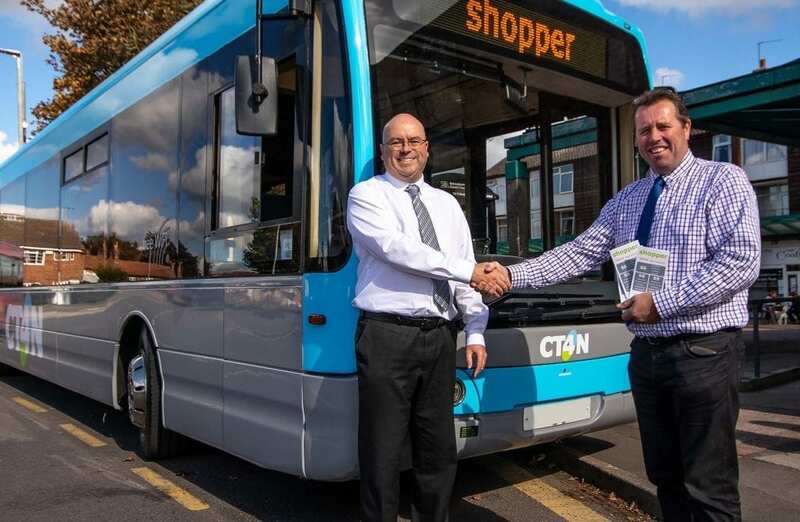 Local bus operator CT4N, which is part of Nottingham Community Transport, has decided to launch the new services now that routes connecting local communities and villages with town centres and supermarkets have now been lost. He said: “I am delighted that CT4N are offering these new services that not only cover Calverton but connects to many local villages then onto both Arnold and Netherfield. CT4N Managing Director, Ian Combellack, said: “We’ve had lots of requests from residents for better bus links from these areas, so are delighted to launch these new Shopper services to serve the local community. “Our friendly drivers are looking forward to welcoming lots of new customers” Ian added. Concession pass holders can travel free and single and return fares are also available. As part of Nottingham Community Transport, CT4N already operates a number of contracted services including Medilink, Centrelink, Ecolink and all Locallink services.